Elsie Tan is a Perth-based professional makeup+hair artist specialising in fashion and bridal beauty. With a highly regarded portfolio of key industry projects including; working with models from Vivien’s, Chadwick and Scene; makeup+hair for Australia’s next top model and Miss Universe Australia finalists; fashion parades for Perth Fashion Festival and Ascot Races; campaigns for renown retail brands and magazines; short films; international projects and more, Elsie is sought after for her ability to apply her professionally trained skills and experience to draw out and enhance every woman’s natural beauty, creating a range of themed but natural looks. 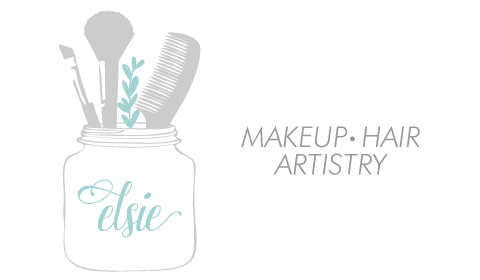 Over the years, Elsie has developed a strong passion for bridal makeup+hair artistry, and continue to be inspired by the success of each of her bridal work. Driven by her desire to create the perfect look for each face, she regularly travels and trains overseas to master her art. For all her bridal work, Elsie believes in flexibility and simply creating a ‘bride’ version of the bride-to-be, of the woman her fiance has fallen in love with in the first place. With an extensive list of clients, across every range of looks, Elsie can work with you to ensure your makeup+hair on your wedding day is exactly how you have imagined it, so you can focus on simply enjoying the magical experience of the occasion. To view a small sample of her work, simply click on the Lookbook link. please email info@elsie-makeuphair.com.au or call +61 433 288 639.